All paws on deck! 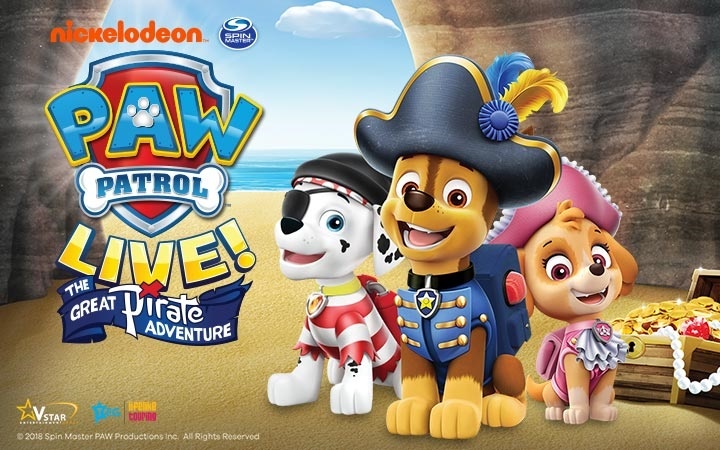 Following the continued success of the PAW Patrol Live! “Race to the Rescue” tour, Nickelodeon, VStar Entertainment Group and TEG Life Like Touring announced a second live stage show based on PAW Patrol, the top-rated preschool series produced by Spin Master Entertainment. The new action-packed, music-filled production, PAW Patrol Live! 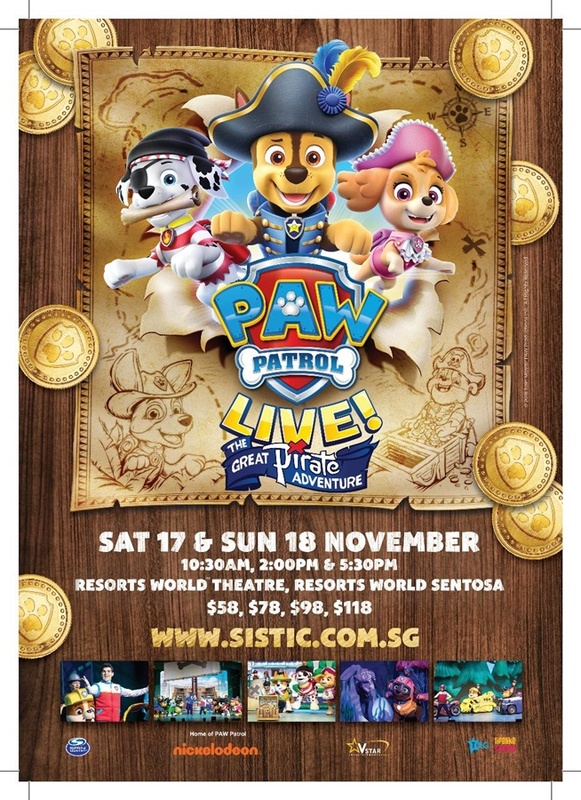 “The Great Pirate Adventure,” will feature the beloved characters from the animated series, and will play in Singapore on 17 and 18 November 2018. Tickets to see the pups embark on this pirate-themed voyage is now on sale to the general public through Sistic for the coming shows. In PAW Patrol Live! “The Great Pirate Adventure,” Mayor Goodway is getting everything shipshape for a big Pirate Day celebration in Adventure Bay. When Cap’n Turbot falls into a dark and mysterious cavern, it is PAW Patrol to the rescue! Chase, Marshall, Rubble, Skye, Rocky and Zuma save Cap’n Turbot and discover a secret pirate treasure map that leads them on an epic adventure. Over land and on the high seas, the pups set out to find the treasure for Mayor Goodway so the celebration can go on. Things get ruff when Mayor Humdinger wants to find the treasure first for Foggy Bottom. The pups need all paws on deck for this pirate adventure, including help from the newest pup who’s all ears…Tracker! Using their heroic rescue skills, problem solving and teamwork, the pups set sail to save the day. No job is too big, no pirate pup is too small! Thanks to Biz Trend Media Pte Ltd, we are giving away 2 pairs of tickets to 2 lucky readers for you to bring your child to watch PAW Patrol Live! The Great Pirate Adventure at Resorts World™ Theatre, Resorts World Sentosa on 18th November, Sunday at 5:30 pm, Category 2 tickets. Each winner will receive a pair of tickets worth $196! Hurry, giveaway will close on 28 September at 23:59Hr. Winners will be announced and notified on 2nd October, please check this space for announcement. 1) The prize is as stated, subject to change and fulfillment by the sponsors. Winners are not allowed to change the prizes. The prize will be non-transferable, non-refundable and non-exchangeable for other dates/times. The sponsors reserve the right to amend the competition, substitute any prize or with another of equivalent value without giving notice. 2) All participants have the opportunity to win as long as you have completed and fulfilled all the steps required by the giveaway contest. Please make sure your likes and shares are set to public for verification purposes. Incomplete entries and fake accounts will be disqualified at the discretion of the organisers. 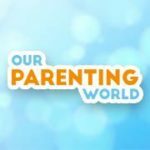 5) The organiser (ourparentingworld.com) is not responsible for inaccurate prize details supplied to any entrant by any third party connected with the giveaway contest by the sponsors. 9) Other terms & conditions applied.